When we claim that AdGuard protects your privacy, we mean it. And here is a story proving it. A few days ago we got an e-mail from one of our users telling us his experience with AdGuard app. One day he checked Apps Management and noticed that one of the applications was trying to send data to a third party domain. No big deal, everybody does that, right? But wait, there's a twist. 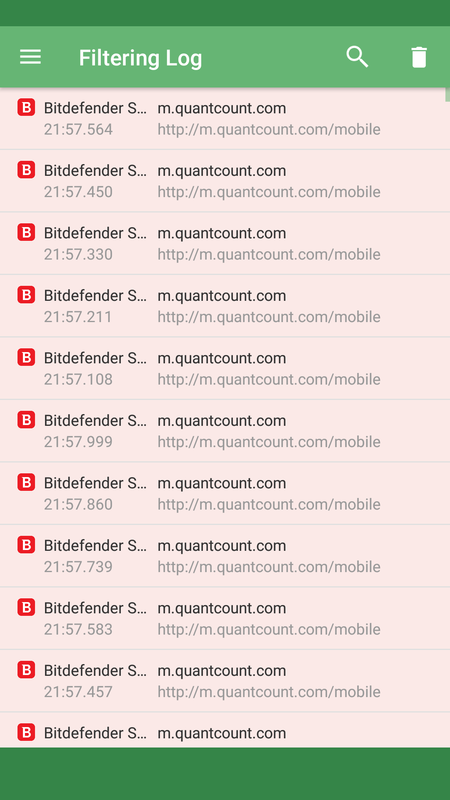 The domain was called quantcount.com, and the application was Bitdefender. It seemed curious, to say the least, because Bitdefender is a Romanian company that develops anti-virus and cybersecurity software. The data transmission to a suspicious site is the last thing you expect from Bitdefender. Firstly, the user checked what quantcount.com was. It turned out that it is a tech company that specializes in audience measurement and real-time advertising, which means that they collect user data in order to create a database for advertisements. 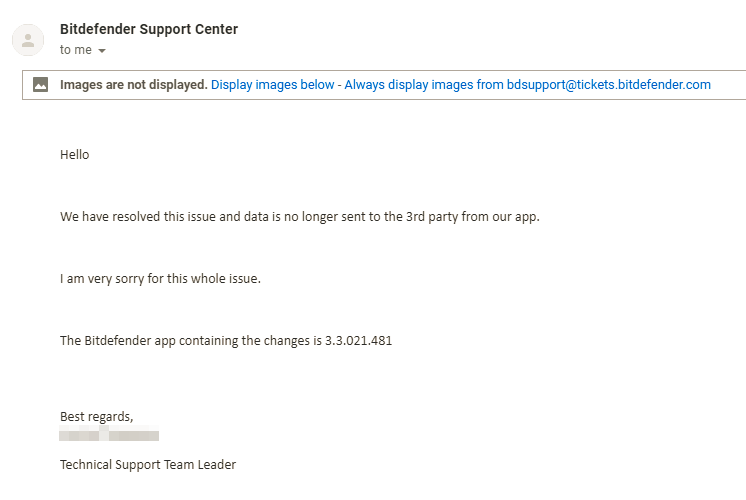 Without any further ado, the user sends a complaint to Bitdefender with screenshots proving his words without mentioning the name of our application. They answered that they didn't collect anything. Also, they wondered what application for monitoring the connections was using the complainer. They advised checking whether the same situation was with another app. The idea of Bitdefender was that AdGuard application was incorrectly interpreting the data. Luckily, AdGuard users never give up, so the user appealed to the Bitdefender's engineering team and asked it to investigate and resolve the case. On the one hand, we can say that the use of mobile analytic services is a very common phenomenon, about 85% of applications use one or another service and recently we've conducted a research on it. On the other hand, Bitdefender is not only an application, it's an antivirus, for which it is very important to maintain user confidence and minimize risks (and using a third-party library is a risk). In addition, the data for the quantcount domain was transmitted over an unencrypted channel. To its credit, Bitdefender fixed the problem correctly and really proved that it takes care of the users’ privacy. Anyway, we can't help being proud of saving our users' data. 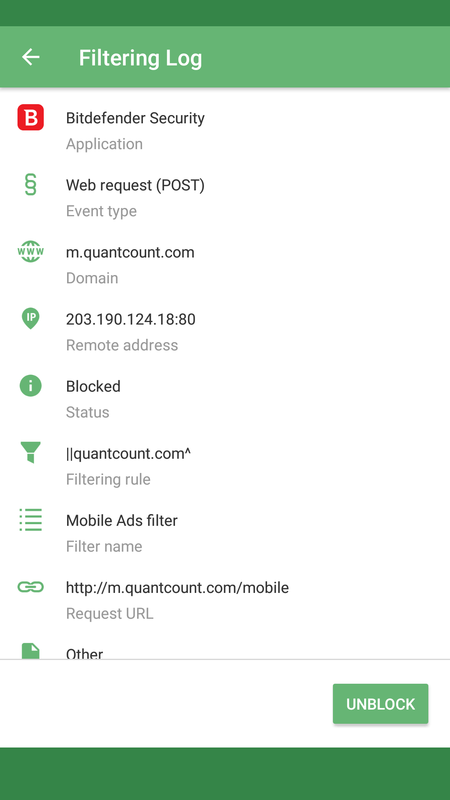 If you are interested in having full control over the traffic on your device, you can check out our latest review about all the features AdGuard App for Android has. P.S. We'd like to thank our user who shared this story with us and expressed a wish to remain anonymous! Every time I write an article about an AdGuard for Mac update, I check how long ago the previous one was released — we used to have a nasty habit of taking our time with new Mac versions. This time, we are actually on schedule, partly because the release is not the biggest one you've seen. Let's get to it!